The following core components are essential to the Upper School program and experience. Click on each title to read more. Our only requirement for an ILP is that the student be enrolled in our school. 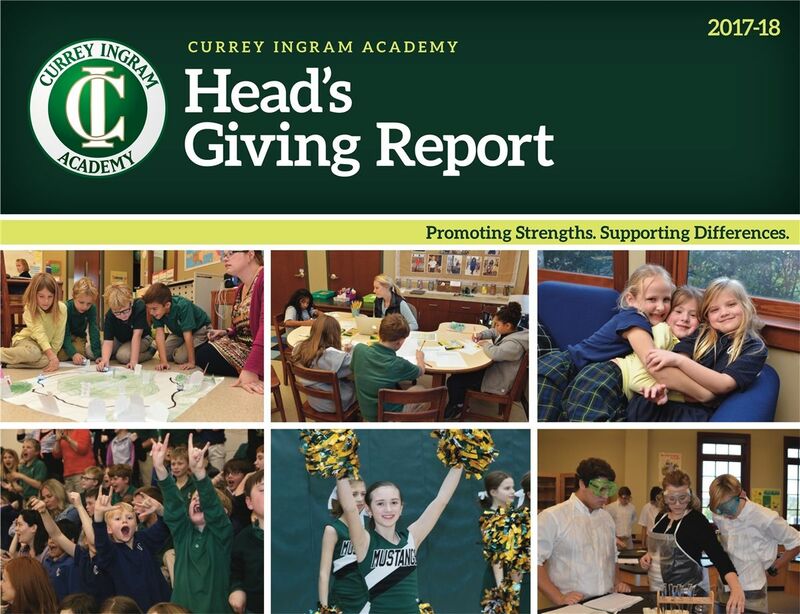 Thus, all Currey Ingram students have an ILP because we believe in offering a personalized education plan for every student. The ILP documents how we provide specialized instruction using evidence-based research curricula and methods. The purpose of the student-led conference is to give students the opportunity to discuss their learning profile, strengths, challenges, and goals with their parents and teachers. This process provides students with a better understanding of their needs and what strategies and accommodations are beneficial to their learning. The student-led conference also builds confidence within the student in preparation for college interviews. Our Upper School student population is intentionally small enough to give all of our students opportunities to excel and assume leadership responsibilities. The average class size is six to eight. Each student attends small academic classes in English, social studies, mathematics, foreign language and science. All academic classes are grouped according to the abilities and needs of the student. Our college-preparatory program values, teaches and promotes noncognitive skills as the building blocks of students’ future successes. We adopted the terms associated with the Strengths, Skills and Mindsets from materials provided by Character Lab, a nonprofit on a mission to develop, disseminate, and support research-based approaches to character that enable students to learn and flourish. The Strengths, Skills and Mindsets cultivated are: self-control, grit, gratitude, curiosity, optimism/growth mindset, social emotional intelligence and zest. Each student is assigned a faculty mentor. Grade-level advisory groups meet weekly. The overall goal of the adviser/advisee program is to establish meaningful and supportive relationships between students and faculty. Upper School teachers serving as student mentors play a key role on the front lines of fostering the targeted Strengths, Skills, and Mindsets by helping students set personal goals and monitor their own progress. Mentors provide students with accountability and encouragement for achieving their goals. 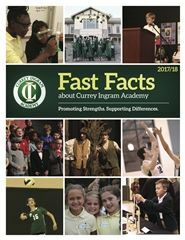 Currey Ingram Academy offers a wide variety of Honors courses throughout the curriculum for students interested and capable of taking on a more challenging course load. Honors courses are distinguished by targeting the following criteria: advanced curricular material and topics; advanced analytical reasoning and critical thinking skills; and higher-level, self-initiated metacognitive skills for problem solving and decision making. This Spanish video helps demonstrate this approach. Seniors are required to complete an independent research Capstone Project. This allows students the opportunity to learn new skills and demonstrate learning gained from all their years of schooling. Skills in reading, writing, speaking, critical thinking, and problem solving will be showcased in a four-stage process. The four components of the Capstone Project include: Proposal Paper, Personal Experience, Research Paper, and Capstone Presentation. To underscore the value and importance of this endeavor, all seniors are required to complete all four components of the Capstone Project in order to graduate. Students in the Upper School continue to use technology throughout their academic day. Each student is assigned a MacBook Air computer and expected to use the computer at school, as well as at home. Technology is integrated throughout the instructional program for a multisensory experience. Graduates tell us that they feel well-equipped when it comes to college-level critical writing skills and using ever-evolving technologies to communicate effectively. Assistive technologies are also used frequently to help students who might need language-based learning support, such as dictation and text-to-speech software. The Upper School ​provides a wide variety of extracurricular activities during and after-school. Athletics play an important role in Upper School life. We strongly believe that involvement in athletics helps students develop social and emotional skills they will carry with them for a lifetime. We offer a variety of athletic teams each season. Model United Nations provides students the opportunity to participate in a simulation of the United Nations General Assembly and United Nations Security Council, introducing students to diplomacy, negotiation, and decision making, At the Model UN conference, students assume the roles of ambassadors or delegates representing a particular nation. As delegates, students prepare draft resolutions, plot strategies, negotiate with supporters and adversaries, resolve conflict, and learn about the United Nations diplomatic process. Students have the opportunity to join the Currey Ingram Academy charter of the National Honor Society. Membership in this group recognizes students who demonstrate excellence in scholarship, leadership, service, and character. As members of the NHS, students have the opportunity to pursue leadership roles within the school community, participate in service projects, and qualify for post-secondary scholarships. 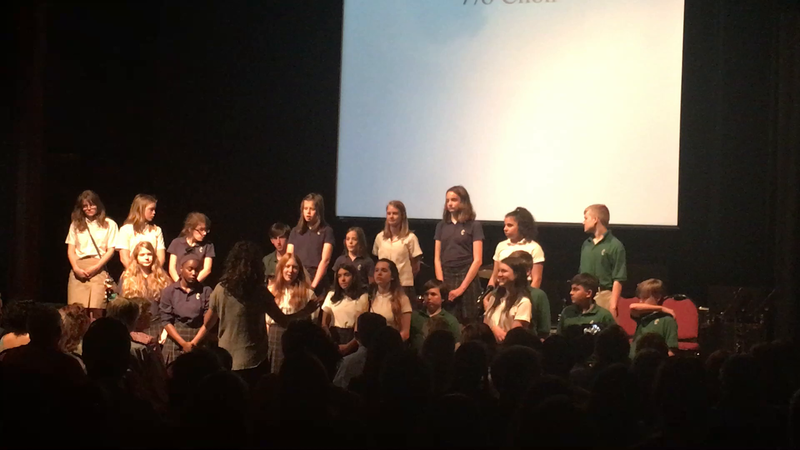 Theatre is also vital part of the Upper School that continues to give students the opportunity to enrich their skills and interests both on and off the stage. We offer fall and spring productions that variably include dramas, comedies, Shakespeare, lavish musicals, and film productions. Students participate in many traditional activities and events such as Pep Rallies, Homecoming, House competitions, and Prom. Additionally, opportunities to learn through experience are offered through our Odyssey program, local field trips, national and international travel, and service learning. These experiences help students develop interpersonal and organizational skills, gain an understanding of important social issues, and enhance their self-confidence.